30" x 15" x 18", 4.2 lbs. Need your stuff to stay put? 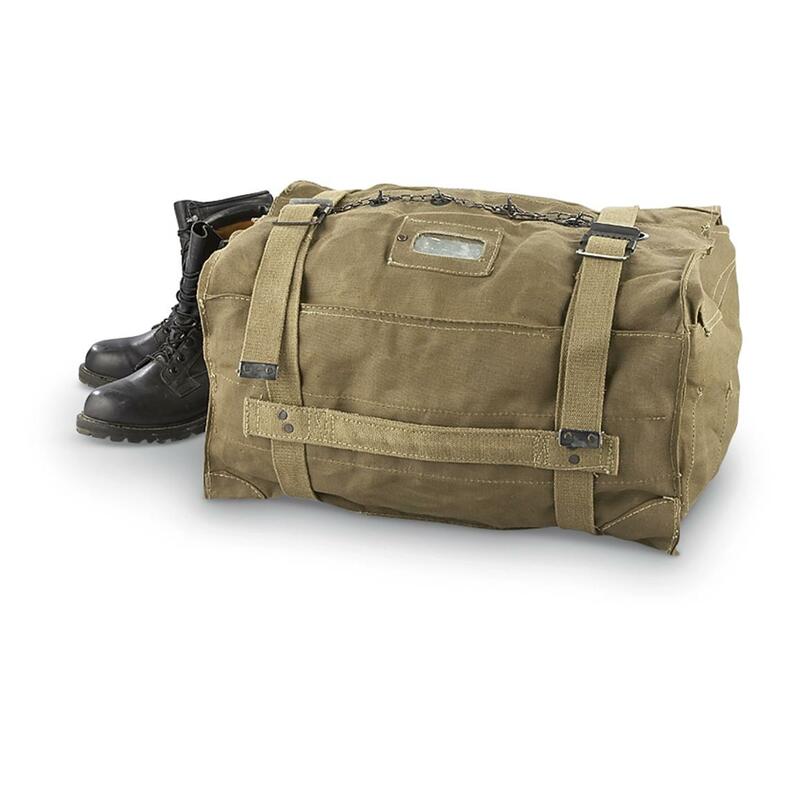 This Italian Military Kit Bag sports an unusual locking chain intended to prevent quick unauthorized entry. Weave the attached chain through the metal grommets and hook it to the opposing side to make both a time-intensive and incredibly-secure closure. Probably the most annoying thing the TSA inspector will have to deal with all day. Stow your hunting stuff or fly the friendly skies. Dimensions: 30" x 15" x 18"
Italian Military Surplus Kit Bag, Used is rated 5.0 out of 5 by 1. Rated 5 out of 5 by EDWARD from nice heavy duty utility bags or great luggage.